Why build when you could call this beautiful, less than 2-year old, home yours right now! No wait and all the finishing work already complete! Fabulous professional landscaping with vinyl privacy fenced yard. Decor fit for Better Homes & Gardens, including custom drapery. Very desirable neighborhood, stunning curb appeal and oversized, 3-car garage. This is a 3-bed, 2 1/2 bath, open floorplan dream of a home! Main living areas furnished with gleaming hardwoods and vaulted ceilings. Kitchen layout includes beautiful Quartz countertops, Farmhouse sink, breakfast area, and access to covered patio, perfect for entertaining. Large master suite has coffered ceilings, recessed lighting, and huge walk-in closet. Double bowl sinks, jetted tub, and separate shower round out the master bath. Other extras include water softener, full, unfinished basement with egress window for that additional bedroom, and main floor laundry with a washtub! 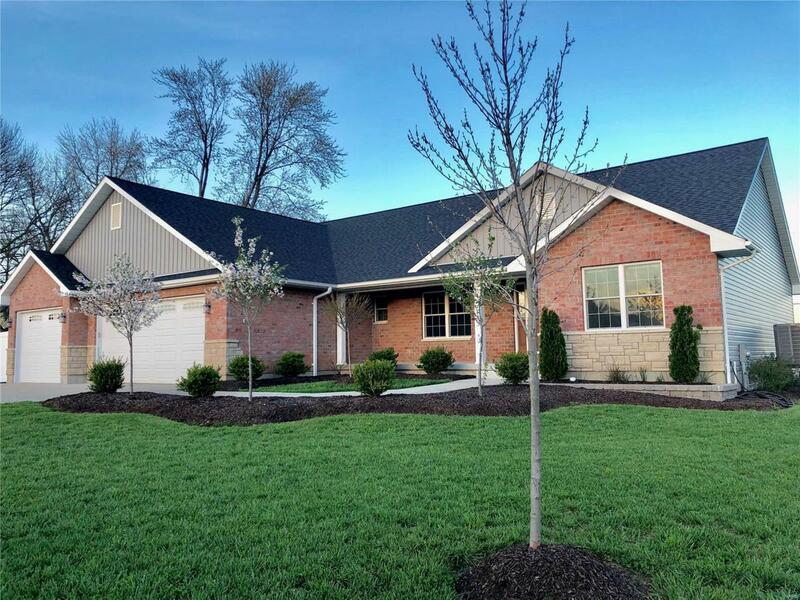 This beautifully finished home has everything to offer! Listing provided courtesy of Keller Williams Realty Platinu. Listing information © 2019 Mid America Regional Information Systems, Inc.